Could HTC Droid DNA be the top Android smartphone? The Droid DNA by HTC is one of the best looking smartphones we’ve seen in a long time and it packs a very powerful punch. While we still need to get a full look at the HTC/Verizon flagship, from the specs, looks and general views, it may be the best smartphone out this year. The phone doesn’t just outmatch all the Android phones, but on paper, it beats the iPhone 5. We never expected HTC to deliver the best smartphone this year, with a rather redundant two years and the One range selling rather poorly, we expected the Taiwanese giant to start cutting back. With the help of Verizon, it seems HTC has pushed forward and delivered us the best smartphone, on one of the better carriers in the US. HTC have crafted the Droid DNA to be extremely thin, very light and it comes with the premium polycarbonate back with a rubbery texture that HTC are known for. It looks exceptionally good, the metallic red and matte black design goes very well together. 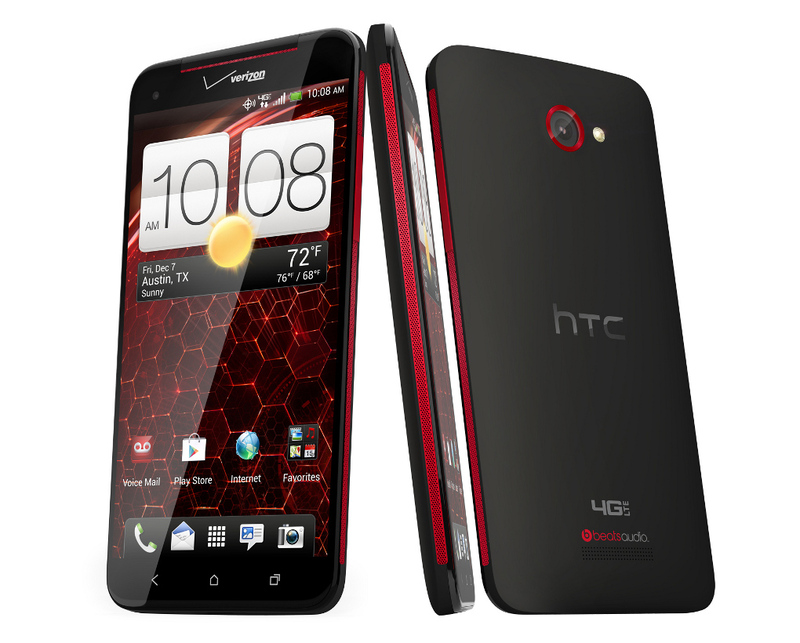 According to HTC, the Droid DNA was inspired by Lamborghini supercars. The display is the best we have ever seen, we recently said that theSamsung Galaxy S4should aim for what HTC have pulled off with the Droid DNA. With 440 pixel-per-inch and full 1080p display, it is the best display on the market, beating the iPhone retina display by a good 110ppi. The five inch screen is very vibrant; videos and photos look incredible on the device. The Droid DNA is, in our opinion, a pocket friendly phone – while some may argue that five inch displays are just too big to carry around, the Samsung Galaxy Note II doesn’t feel that bad, unless you have tight, small pockets. The Droid DNA is a very light and slim phone, we doubt you’ll have any problems carrying the smartphone around. Inside the Droid DNA, there is a 1.5GHz quad-core Snapdragon S4 Pro processor and 2GB of RAM, running alongside Project Butter, to keep the phone snappy. In tests, we’ve seen a lot of reviewers and first-looks say that the Droid DNA can deal with a lot of tasks, apps open and emails without missing a beat. With all of this power in the Droid DNA, you would expect battery life to be somewhat smaller than the average phone. According toCNET, that is not the case, with the Droid DNA holding out for a good eight hours before needing a recharge. The 2,020mAh battery seems capable – you cannot take it out the case to change it, anyway. The usual HTC phone camera has been added to the Droid DNA, with an eight-megapixel rear camera with LED flash – this will probably be the same as the One X camera, which was okay but had flushed out images in our tests. It comes with a two-megapixel front facing camera for HD video and chat. We have already said we like Jelly Bean more than iOS6, with the newest Android operating system customisation and interface just beating Apple’s dull and lifeless OS. This comes on top of HTC Sense 4+ skin, which we must say isn’t as bad as TouchWiz. While we still love stock Android, HTC do a good job with this skin. Problems with picking HTC as an Android phone are that you won’t be getting your phone updated very quickly. Jelly Bean 4.2 is out, but we doubt we’ll see it on the Droid DNA for a few months. 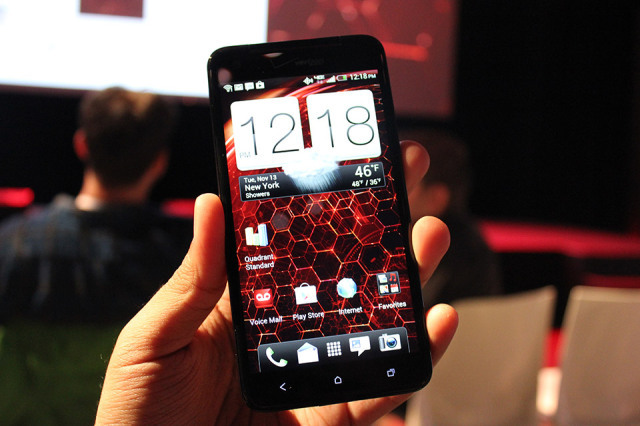 You will get a lot of HTC’s home brand design on the Droid DNA, along with some Verizon apps. Altogether, it is a remarkably well designed and powerful phone, we suspect this will take first place in the Android leaderboards and it may even be the top smartphone out right now.